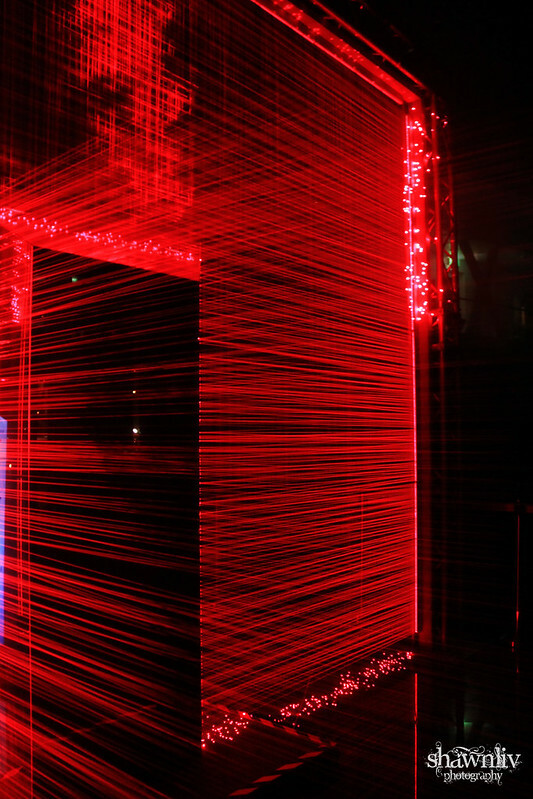 Design by Storybox (New Zealand) to show how light has inspired and shaped to this modern world through tracing the journey of light from a temple candle to the neon glow of street advertisements. 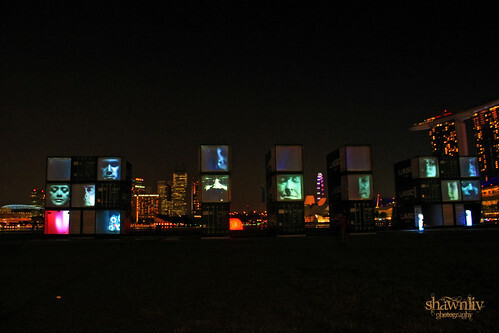 This multi-screen work is installed on the shipping container. Design by BiBi from France. 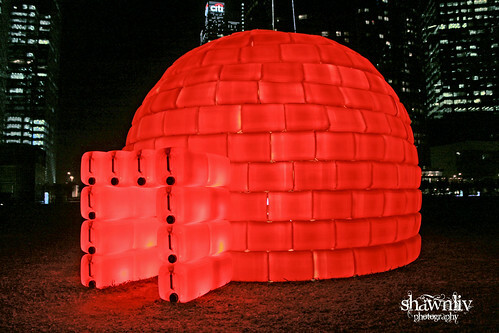 This artwork is to raise awareness about global warming and melting ice-caps. Design by Zulkifle Mahmod (Singapore) from Temasek Polytechnic. 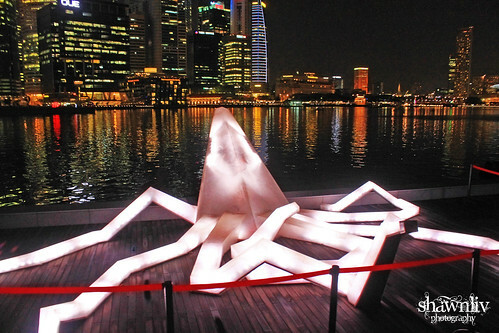 In brief, this blinking lights squid-like creature is to show the rapid changes of the modern world and the effects of natural environment. Design by Dev Harlan from USA. 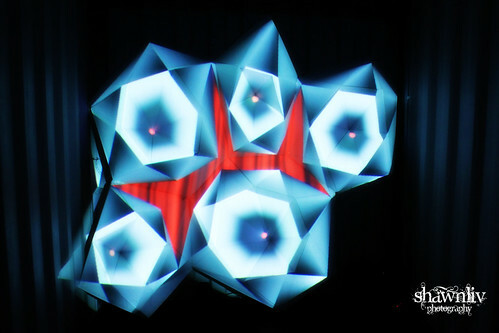 Accordingly, it is a hypnotic 3D projection of swirling abstract patterns which create an amazing sense of movement, color and form. Design by LiHui from China. 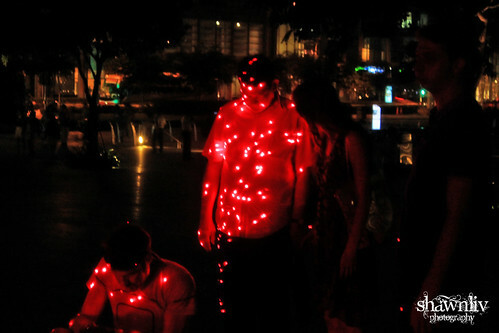 This artwork project a powerful image of passage and enlightenment. 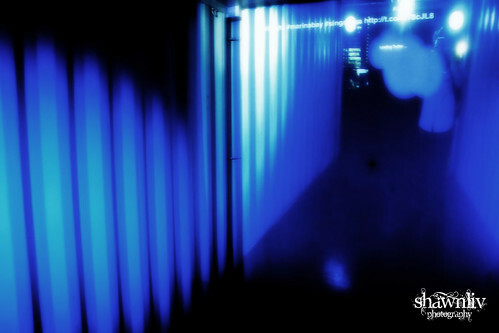 Moreover, hundreds of small beams of low intensity laser light frame the entryway and radiate straight past the viewer.